We are the Ferry to NC’s famous Barrier Islands! Bird Shoal, Carrot Island, Sand Dollar Island & more! The islands of the Rachel Carson reserve are just as beautiful as they are educational. 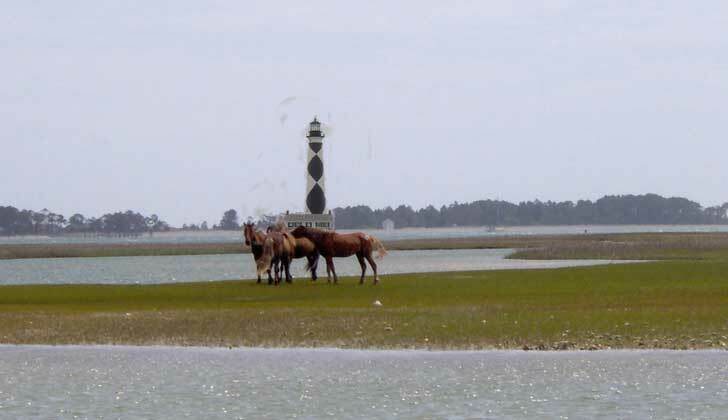 Only accessible by boat or ferry, these islands are one of the best kept secrets of the Crystal Coast. 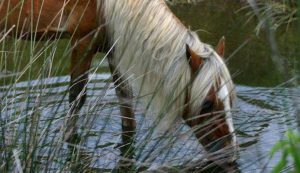 They give you the option of relaxing and taking in the sun on the pristine shores or exploring the natural trails where you can observe wildlife, such as feral horses, gray foxes, river otters, sea turtles and many species of fish, in their natural habitat. Just call or email to get guarantee your seats! The ferry to Bird Shoal & Rachel Carson Reserve runs every 30 minutes, and reservations are not required. Reservations are required for some of the other trips & tours, so just call (252) 728-4129 to schedule. 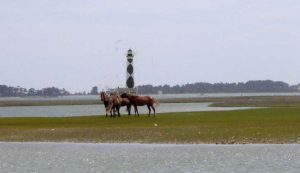 We have updated and improved on the tours to give you more time and information on the local areas from Beaufort to Cape Lookout. This tour will last approximately 90 minutes and will provide passengers the best of both worlds, allowing you to take in the sights of Rachel Carson on and off the boat. It’s 2018, and we have a new tour for you to enjoy! Join us for a narrated history and nature tour on the Morehead City waterfront. We will be departing from the dock near the Sugarloaf Island Deli & Yellowfin Pub.